Divorce Finance Toolkit · How much child maintenance should I pay? Two kids x 20% gross income, err, less pension payments, and then, erm, divided by 3 nights equals… Damn. Start again. Two years ago I launched a child maintenance calculator to deal with the vexed question: “How much child maintenance should I pay?” The reasons I took the time out to develop this free tool are set out here. It’s fair to say I had the hump with the Child Maintenance Service, on behalf of parents struggling with the issue of child maintenance, at the poorly executed calculator provided by that organisation. I am not able to spend as much time on this blog as I used to; I felt some years ago that my spare time had to benefit as many people as possible and that I should concentrate my efforts on a more ambitious way to help people connect with specialist family law advice. I put it all down to a numbers game. I have been very busy with those long-term plans aimed, a wee bit ambitiously, at bringing family law into the 21st century. So, being distracted by grander plans, I was pleasantly surprised to see that there have been 900 calculations using my child maintenance calculator. Most of the calculations were carried out by private individuals, but with a sizeable number generated by lawyers, mediators and some advice agencies. 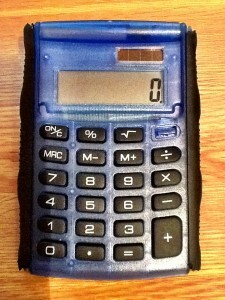 I will continue to host and maintain the calculator as long as it meets a need.